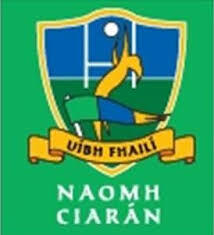 Home / Older Posts / NAOMH CHIARÁIN LADIES FOOTBALL. MEDAL PRESENTATION. NAOMH CHIARÁIN LADIES FOOTBALL. MEDAL PRESENTATION. Congragulations to all our players on recent achievements. Medal Presentation for Senior League and Minor Championship will take place this Friday 7th November in Gleeson’s Ferbane at 8pm followed by Table Quiz.